Although defection from one political party to another is not new in Nigerian politics, but the number of politicians who dumped their parties ahead of next year’s general elections was unprecedented. The first case of carpet-crossing was in 1951, when 20 of the 42 members of the defunct National Council for Nigeria and the Cameroons (NCNC) in parliament defected to the defunct Action Group (AG) to prevent the late Dr. Nnamdi Azikiwe from becoming premier of the old Western Region. The premier of the defunct Western Region in the First Republic, the late Chief Ladoke Akintola, also defected from the AG, following disagreements with the leader of AG, the late Chief Obafemi Awolowo, to form the United People’s Party (UPP). In the Second Republic, the then Deputy Governor to Chief Michael Ajasin of the Unity Party of Nigeria (UPN) in old Ondo State, the late Chief Akin Omoboriowo, defected to the National Party of Nigeria (NPN) and became its governorship candidate in the 1983 general elections, whose outcome plunged the state into deep crisis as a result of military intervention. While many believe the defections were based on principles, the same cannot be said of the past, recent and ongoing defections, ahead of next year’s polls. In 2014, ahead of the 2015 general elections, many prominent politicians left the then ruling Peoples Democratic Party (PDP) to the then newly-formed and now ruling All Progressives Congress (APC), mainly to pursue their ambitions, rather than principles. And as the next general elections approached, politicians of different calibre, including occupiers of sensitive position and offices for the same reasons as pre-2015, both at the state and federal levels left their various platforms. Prominent among them were former Vice President Atiku Abubakar, who contested and won the PDP presidential ticket, Senate President Bukola Saraki and Speaker, House of Representatives, Yakubu Dogara, who also returned to the PDP. Similarly, governors Aminu Tambuwal (Sokoto), AbdulFatah Ahmed (Kwara) and Samuel Ortom (Benue), as well as senators Rabiu Musa Kwankwaso, Dino Melaye, Barnabas Gemade, Isa Hamman Misau, Lanre Tejuosho, Shaaba Lafiagi, Mohammed Shittu and Ubali Shittu, Rafiu Ibrahim, Suleiman Hunkuyi, Monsurat Sunmonu, Ibrahim Danbaba, Usman Nafada and Suleiman Nazif, among others moved to the PDP. About 36 members of the House of Representatives left the APC to PDP, African Democratic Congress (ADC) and Social Democratic Party (SDP), among others. Initially, ADC, buoyed by former President Olusegun Obasanjo’s support, gained at least two senators and four representatives. Conversely, the APC welcomed some defectors from the PDP, including former governor of Akwa Ibom State and ex-minority leader in the senate, Godswill Akpabio. Following the defections, there were attempts by the APC to oust Saraki from office, but this faded away due to insufficient votes to carry out the plan, which was severally mouthed by APC National Chairman, Adams Oshiomhole, Senate Leader, Ahmed Lawan and Senator Alli Ndume, Akpabio and others as a result of vehement opposition from PDP. In Ortom’s case, there were moves to impeach him, reminiscent of the Obasanjo era, but he had 22 of the 30-member House of Assembly behind him to wade off the attempt. The defection of the two principal leaders of the National Assembly and other members to the opposition and APC’s lack of comfortable majority in the two chambers worsened the relations between the executive and legislature at the centre, required for smooth governance, which rubbed off on national leadership, as manifested in the uproar that greeted President Muhammadu Buhari’s presentation of next year’s Appropriation Bill at a joint sitting of both chambers last week. THE run-off to the governorship elections in Ekiti and Osun states, many believed, was a harbinger of what is to come in next year’s general elections. After vigorous and acrimonious campaigns, characterised by monetary inducement of voters, a former governor of the state and ex-minister of Solid Mineral Resources, Dr. Kayode Fayemi, back by federal might, defeated Professor Kolapo Olusola, aka Eleka, who had the backing of former Governor Ayodele Fayose. Buoyed by its success in Ekiti, APC replicated the same feat in Osun, in an election that followed the same pattern, as its candidate, Governor Gboyega Oyetola beat PDP’s Ademola Adeleke in the supplementary election, following severe scheming and horse-trading. The results of APC victories in both elections are being challenged by the PDP at the respective election tribunals. DURING the outgoing year, a former Chief of Army Staff and ex-minister of Defence, Lt-Gen. Theophilus Danjuma, accused the military of colluding with armed herdsmen to carry out ethnic cleansing in the Middle Belt and other states in the country, including his home state, Taraba and urged Nigerians to defend themselves against the aggressors. The presidency and military denied the accusation. Also, Obasanjo, in a letter to Buhari, tilted: The Way Out: A Clarion Call for Coalition for Nigeria Movement, advised the President against re-contesting in next year’s general elections, among others. However, the presidency did not receive his accusations and advice lightly and ended up calling him all, but good names. Obasanjo was to later support the presidential ambition of former Vice President Atiku Abubakar, who he had vowed never to back for the country’s highest office. OBVIOUSLY, the defections that hit the major political parties was mainly over the defectors’ ambitions and aspirations than other considerations. The primaries for the governorship and National Assembly elections was followed by adverse fallouts, especially for APC, which used different rules for different states to pick their candidates. In the process, some governors, such as Rochas Okorocha (Imo), Abdul’aziz Yari (Zamfara) and Ibikunle Amosun (Ogun), whose anointed aspirants were schemed out, have remained adamant and charted another course. In Okorocha and Amosun’s cases, their anointed ‘sons’- Uche Nwosu (his son-in-law) and Adekunle Abdulkabir Akinlade, have joined other parties to pursue their ambitions. The disagreement between Yari and Senator Mafara, backed by the party’s national leadership over the primary led the Independent National Electoral Commission (INEC) to insist that the party would not be fielding governorship and National Assembly candidates in the elections over non-conduct of primaries, a development that was disputed by the party. While PDP has since constituted its presidential campaign council and indeed commenced campaigns, APC constituted and began campaigns just yesterday. THE National Assembly passed the Not-Too-Young-To-Run Bill into law, which was signed by the President, making it possible for younger politicians to run for certain offices, including President. But the essence of the law appeared to have been lost due to the high cost of expression of interest and nomination form by the two major political parties, which most of the aspiring youths could not afford; hence most of them picked the forms and tickets of other parties. FINALLY, the Federal Government recognised June 12, rather than May 29, as the real Democracy Day, with effect from next year. This is considered a post-humus honour for the presumed winner of the annulled June 12, 1983 presidential election, the late Chief Moshood Abiola. IN an unprecedented manner, First Lady, Mrs. Aisha Buhari, became a vocal critic of some of the activities in the presidency, to the chagrin of many. In addition to her earlier view that those who did not work for the President’s election were the ones benefiting from the administration, she recently claimed that two unnamed individuals have hijacked the running of government, an indication that her husband might not really be in full control. But Buhari, a few days ago, in what is seen as a belated reaction, challenged her to name the two personalities. Buhari Or Jibril From Sudan? ONE controversy that refused to go away this year is the true identity of the person piloting the country’s affairs. 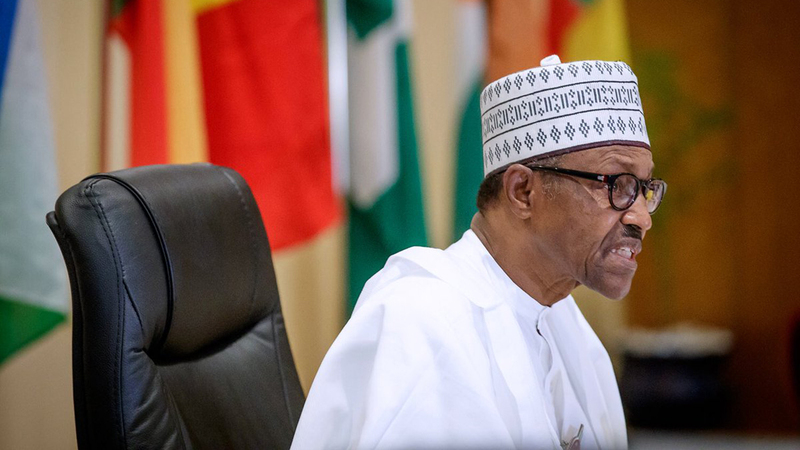 While critics and the opposition claim that the person parading himself, as Buhari is actually one Jibril from Sudan, the Presidency dismissed the assertion, insisting that it is actually the former head of state. THE outgoing year has been marked by the same, or even worse, insecurity that bedevilled the country pre-2015. This witnessed daring attacks on military formations and bases, like never before, and killings of soldiers and civilians in the Northeast, especially in the last few months, by terrorists. There are conflicting figures of casualties on the part of the military. Similarly, there were renewed and heightened armed herdsmen attacks on farmers, especially in Benue, Taraba and Kaduna states. 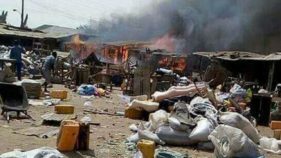 Benue stood out, as many were killed in their farms and homes in the year by armed marauding killer herdsmen, said to be mostly from neighbouring countries, especially Mali, with the security agents being almost as helpless as the civilian victims. In Kaduna, herdsmen attacks and communal clashes claimed many lives, including a village head. Of great concern too is the continuing killing of civilians by armed bandits in Zamfara State. Despite the deployment of troops, the killings go unabated. IN September, Nigerian workers, under the aegis of the Nigeria Labour Congress (NLC) and Trade Union Congress (TUC) declared an indefinite nationwide warning strike to demand for increase of the monthly minimum wage from N18,000. Another strike called by the unions was aborted after government invited them for a meeting, which ultimately yielded no concrete results. The workers are demanding an increase to about N50, 000, but while the Federal Government appears willing to pay N30, 000, the states have indicated their helplessness to do so due to paucity of funds, insisting on reducing their staff strength if they must pay. The report of the joint negotiation committee is yet to be presented to the National Assembly for enactment into law for a new wage to take effect. And since it was not factored into next year’s Appropriation Bill before the National Assembly, there are fears that the issue would continue to linger, even as a national strike looms early next year. ONE of the biggest cases of crime and alleged robbery in particular occurred in April Offa, Kwara State, when armed robbers stormed some banks in the town and carted away undisclosed amount of cash in different currencies. The robbers, led by Michael Adikwu, a policeman dismissed from duty for allegedly aiding armed robbers, attacked about five banks in Offa, killing several policemen on duty and other civilians, including customers and staff of the banks. It took a new twist when the suspects allegedly implicated Senate President Bukola Saraki and the state government. It has since been a ding-dong affair between the Police and the senate president. 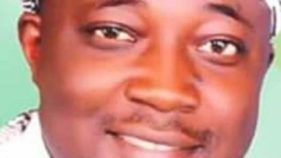 Adikwu was reported to have died in mysterious circumstances in Police custody, while the rest of the suspects have been charged to court. THE fall in standard of education in the country took a nosedive with strike in the sector by academic and non-academic staff of universities, polytechnics and colleges of education. As a result, the academic calendar has been altered and students sent on indefinite break. Currently, the Academic Staff Union of Universities (ASUU) went on strike and its negotiations with the Federal Government to resolve the issues have ended in deadlock, with ASUU urging students to brace up for a long stay at home unless government shows concern to end the stalemate. ASUU commenced the strike on November 5 over government’s failure to implement agreements reached with it in 2009 and 2017, as well as funding and improved welfare for members, among other issues. Since the commencement of the ongoing strike, government and ASUU had met three times without reaching a resolution. ASUU’s National President, Professor Biodun Ogunyemi, has said it might not honour further calls by government for a meeting on the way forward over the current strike by its members. Ogunyemi said to ensure that the agreements were implemented, the union had held a series of consultative meetings with government and written series of letters with little or no result, adding: “Since the commencement of this strike, we have had six meetings with Federal Government agents, with no clear commitment from government on resolving the issues. “Government appears to have adopted ‘keep them talking’ strategy, while deceiving the public that progress was being made and that partial agreements had been reached between union and government. “We want to say that government has continually and falsely raised the hopes of the Nigerian public on the state of discussion with our union and we may not be interested in holding further dialogue until we see signs of commitment and sincerity in addressing the issues. The union insisted that the continuation of Dr. Wale Babalakin as head of the renegotiation with ASUU would not yield good fruit,” warning: “If we miss education, we miss development as we will end up being enslaved the second time. Meanwhile, the National Association of Nigerian Students (NANS) has issued an ultimatum to the Federal Government and ASUU to end the strike or be ready for confrontation. NANS said the strike has affected students’ academics and the accumulating cost of accommodation, threatening a mass protest across the country and mobilisation of 100,000 students for protests in Abuja. Other issues being disputed include poor funding of public universities and government’s alleged plan to introduce tuition fees and an education bank. It is to interface with ASUU, Non-Academic Staff Union (NASU), Senior Staff Association of Nigerian Universities (SSANU) and National Association of Academic Technologists (NAAT)- over the contents of the agreement the unions reached with government in 2009. Government’s threat of ‘no work, no pay’ was later withdrawn following criticisms from stakeholders. The lecturers, who vowed never to return to work until their demands were met, described the ‘no work, no pay’ as a threat that held no water, warning that it would only prolong the strike. Minister of Labour, Dr. Chris Ngige, has assured that the Federal Government was taking all necessary steps to address ASUU’s demands. Their counterparts in the polytechnics, the Academic Staff Union of Polytechnics (ASUP), began their own strike on December 12. 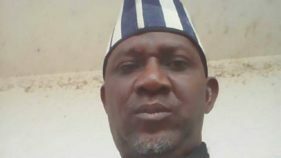 ASUP President, Usman Yusuf Dutse, said the action was a result of government’s failure to fulfill the union’s demands overtime, especially non-implementation of the 2009 and 2017 agreement it reached with the union. Dutse acknowledged government’s invitation for dialogue on December 17, but added that the strike continues. ASUP had on October 2, issued a 21-day ultimatum to government before it extended it to November. Even then, it did not commence the strike until December 17. Meanwhile, the Colleges of Education Academic Staff Union (COEASU), on December 5, suspended its over two months old strike. The union embarked on strike on October 9 over non-implementation of agreements, especially NEEDS assessment report. Its National President, Nuhu Ogirima, said the suspension follows reassurances from government to meet some of their key demands and implementation of agreements. THE Central Bank of Nigeria (CBN) on December 10 made good its threat to increase items in the prohibition list to 42, with the addition of fertilizer, as a way to raise local production of the items and save foreign exchange expended on importation. CBN Governor, Godwin Emefiele, had earlier at the 2018 Bankers Dinner in Lagos hinted of the move to increase the prohibition list and warned that it would collaborate with the Economic and Financial Crimes Commission (EFCC) in investigating abuses so far, with sanctions in view. The policy, which has been backdated to December 7, according to the apex bank, was also in continuation of efforts to sustain the achievement recorded from the classification of the 41 import items that are “not valid for foreign exchange” in the country’s foreign exchange market. The economy faced a record debt profile of N22.37 trillion ($73.2 billion) as at June 30, but mostly assumed a more disproportionate weight against the country’s growth, as the cost of servicing them leaves nothing for development initiatives, a situation that would dispose the country to perpetual borrowing. While government claims huge investment in infrastructure, the chall enges facing the real sector operators still remain, with financial service providers citing the same environmental risk factors, leaving many to doubt the authenticity of the claims. The country’s dependence on oil sector offerings as major revenue earner and “sneezes” at every turn of event in the industry continue to betray claims of diversification, just as this year is about to usher the economy into another brand of headwinds next year, courtesy of oil price. Skye Bank Plc was taken over by Polaris Bank Limited as one of the latest distressed financial institutions in the country, under the direct intervention of the CBN and Nigerian Deposit Insurance Corporation (NDIC), but managed by the Asset Management Corporation of Nigeria (AMCON). In the takeover, a fresh N786 billion soft and long-term financing at single digit interest rate was injected to keep the operations ongoing and rejuvenated. Emefiele said the result of examinations and forensic audit of the bank revealed that it required urgent recapitalisation and could no longer continue to live on borrowed times with indefinite liquidity support from the apex bank, which the shareholders were unable to provide. He said even if AMCON could not find new investors for the bank before 2024, the bank would continue to be under CBN’s management, being the major stakeholder in AMCON. Similarly, after months of rumour, Diamond Bank Plc announced merger talks with Access Bank Plc. While many believed Diamond Bank had had liquidity problems for a while and Access Bank was going to acquire it, the latter insisted that it was a merger and not an acquisition.